Over the past 20 years, Robertson Hayles Lawyers has seen a growth of international clientele requiring our legal services in Western Australia. Many of our international clients were referred to us by our existing clients or legal contacts. 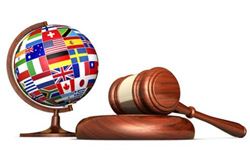 The number of our international clients has increased in the internet age with many seeking our legal services after making searches on the web for the appropriate legal practice to meet their legal needs. Unlike large legal corporations which cater to the needs of multinational clients, we primarily assist individuals, families and small to medium sized enterprises seeking legal advice and representation in Western Australia. With years of experience in dealing with clients based overseas, we understand that their needs and concerns differ from locally based clients. At each step, we aim to provide an in-depth explanation of Australian law and practices affecting the client’s matter. We also understand that as a result of distance, language and culture, our communication must be responsive and clear to avoid any misunderstanding of the legal or factual issues. Several of our lawyers and support staff come from multicultural backgrounds and are multilingual. Many have worked in various countries in Asia, the Middle East, Europe and North America as well as with the United Nations. With our background and experience, we have the ability and sensitivity to provide quality legal services to overseas based clientele. Robertson Hayles Lawyers is a member of Southern Cross Legal, an alliance with legal practices in Australia and New Zealand and Global Cross Legal, an alliance extending to legal practices in Asia, Europe and North America. With this legal network, we are well placed to refer you to the appropriate legal practice if your legal matter has to be dealt with in another jurisdiction. For all enquiries, please contact Robertson Hayles Lawyers on (08) 9325 1700 or contact us by email today at enquries@robertsonhayles.com and we would be pleased to assist you.